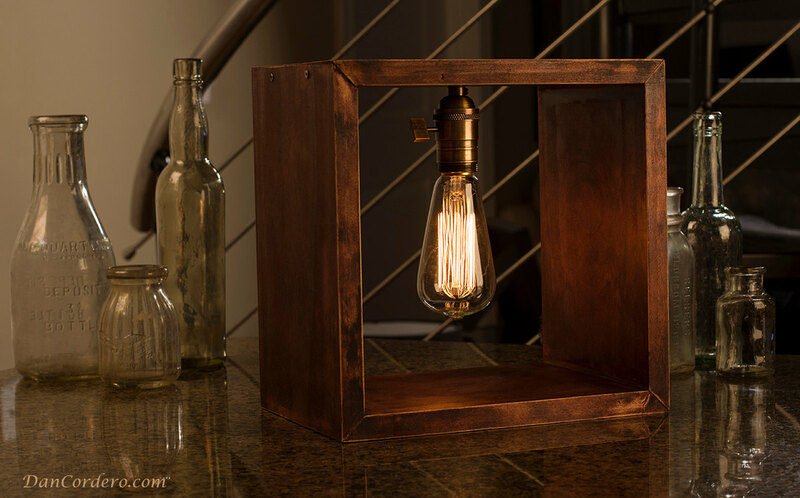 To accentuate the industrial design, I incorporated the antique brass-finished paddle turn knob socket to accompany the central Edison-style filament bulb. 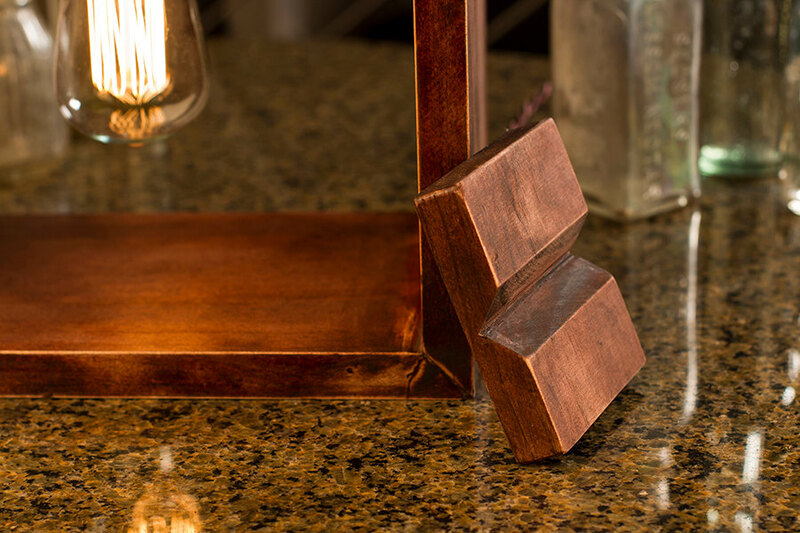 For more contemporary tastes, I crafted a tilt block to offset the lamp for an optional angled display. Because, let’s face it, symmetry can be boring. 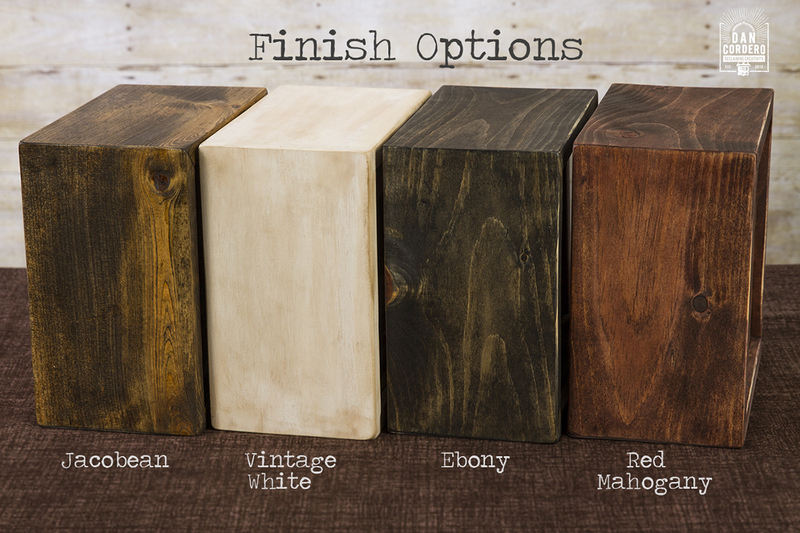 All wiring has been carefully hidden throughout the wood for a clean appearance. Better quality wiring than most commercial lighting (fabric cord, placed appropriately to remain hidden) and nice hardware. The wood portion could have been a little nicer (stain was a little sticky still and not perfect) but 100% a good value for the price. Loved it. He sent it earlier upon my request to get it here in time for me and my boyfriend’s anniversary. Looks great in person. Thanks! 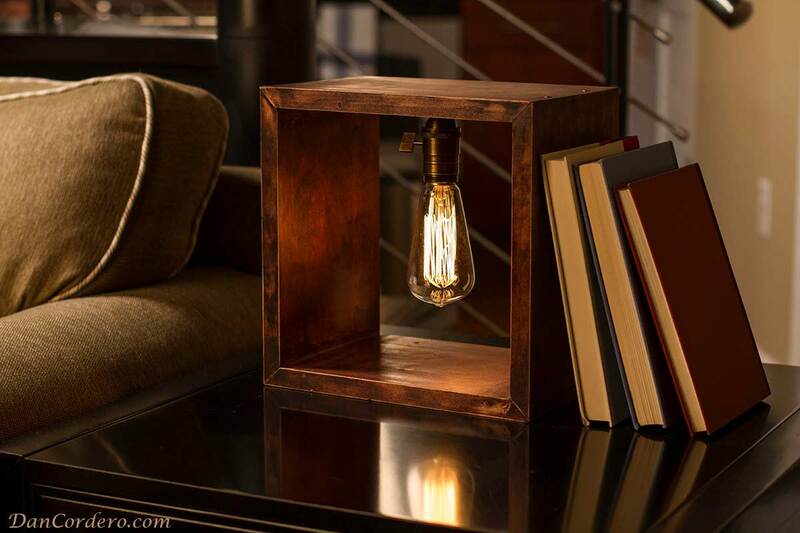 This lamp is absolutely amazing!! The craftsmanship is perfect and I could not be any happier with it! 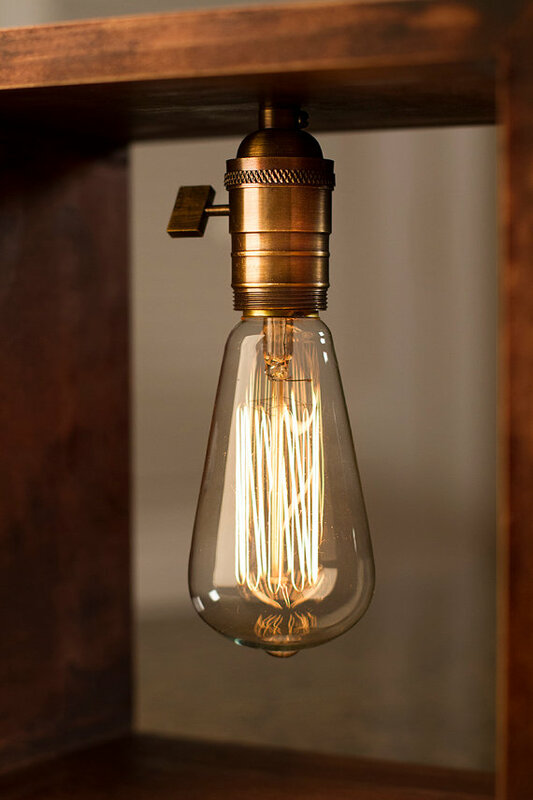 The cord and plug are very stylish and the light bulb has the perfect glow. Everyone who comes to my house comments on how cool it is. 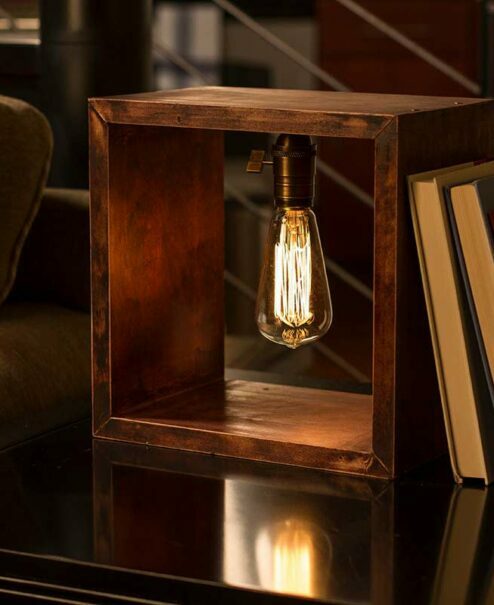 I have never seen such a unique lamp. It really looks superb in person!!! The shop owner is really nice too and answered all my questions and I got the lamp pretty quickly after ordering which was really nice. 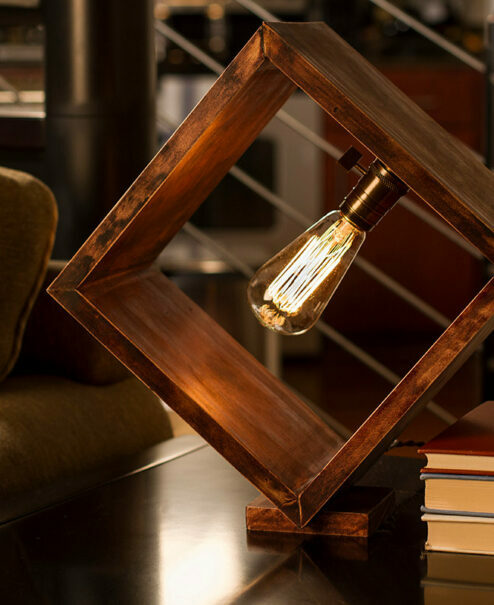 Honestly YOU WILL LOVE THIS LAMP!!!! 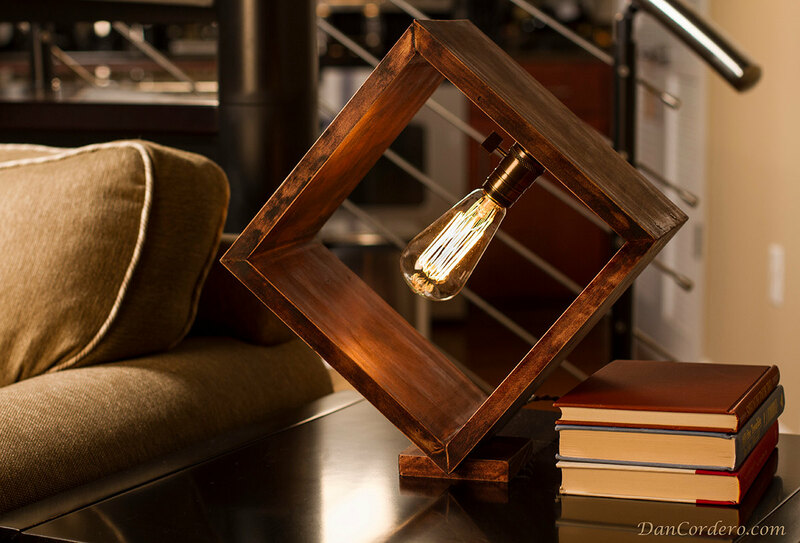 Beautiful lamp. Particularly like the quality of the hardware and cabling. Shipping was well packaged. Nicely made. Bought as a gift and he loved it! Nicely constructed and attractive. Thanks! I gave this to my husband as a gift and we both absolutely love it. 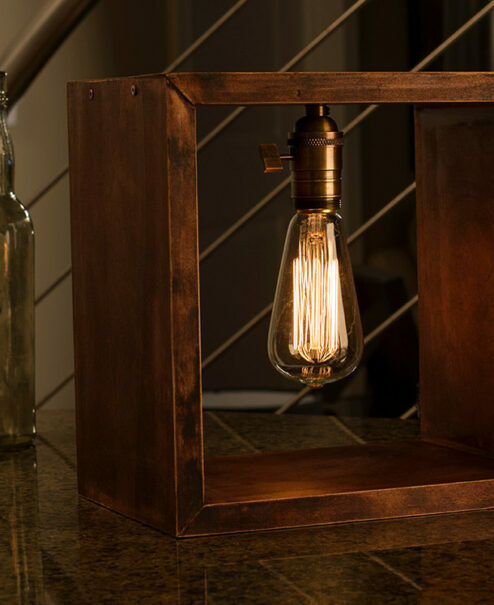 The design paired with the Edison bulb add style and warmth to our space. Can’t say enough nice things about this piece. Thank you! Awesome- we made awards with them.